Washington, D.C., July 20th, 2017 – Genes in SpaceTM named two winners of its third US competition. 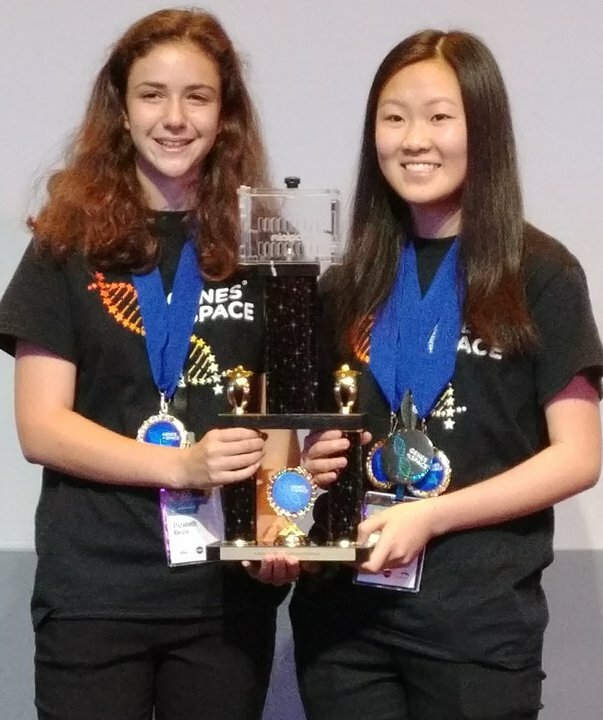 In an unprecedented tie, Sophia Chen from Washington and Elizabeth Reizis from New York will both have their experiments performed aboard the International Space Station (ISS) using miniPCR™ technology. The innovative Genes in SpaceTM contest called for students in grades 7 through 12 to design an experiment to solve a real-life space exploration challenge through DNA analysis. The competition was founded by miniPCR and Boeing and is sponsored by Math for America, CASIS, New England Biolabs®, and FedEx. 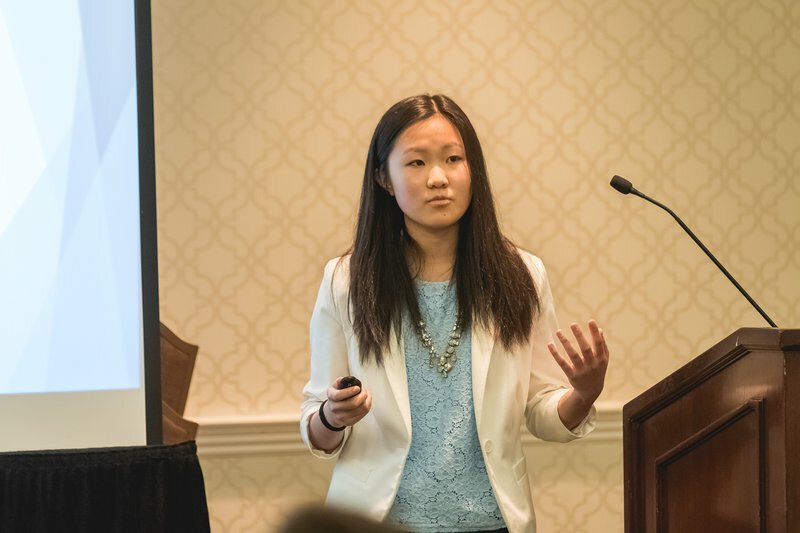 Sophia Chen (14) from Lakeside School, Washington, aims to measure cancer-inducing genomic instability in astronauts. She was mentored by her ninth-grade teacher David Joneschild. Elizabeth Reizis (14) from Stuyvesant High School, New York, wants to assess the effects of microgravity on the differentiation of immune system cells. Elizabeth is a student of MƒA Master Teacher Jessica Quenzer, who served as her mentor throughout the Genes in SpaceTM application process. 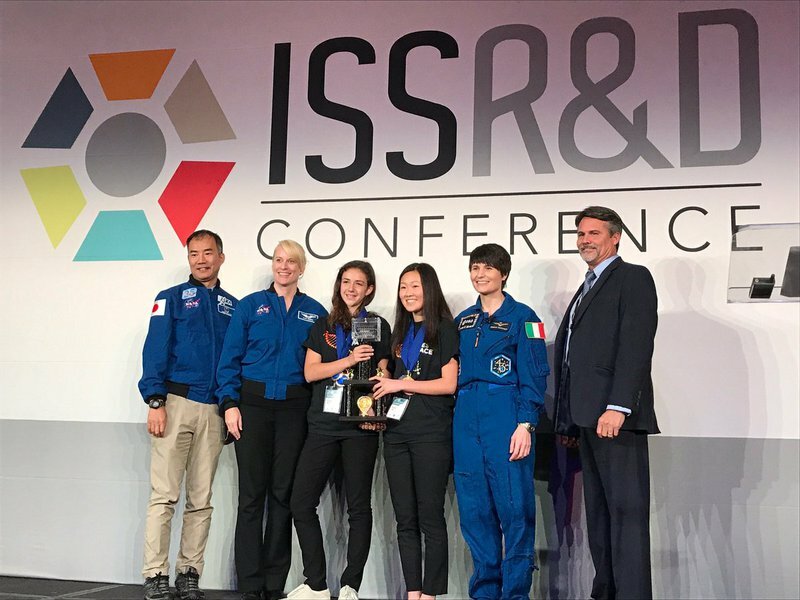 Chen’s and Reizis’ winning experiments were announced today at the ISS Research and Development Conference in Washington, D.C. They were chosen from a competitive group of 375 applications from across the country. 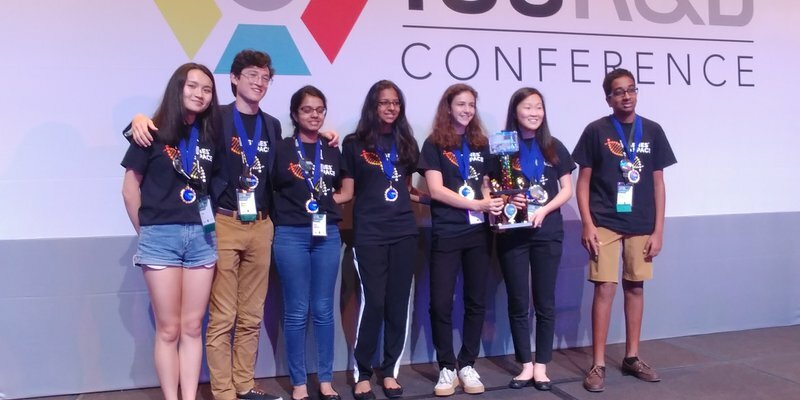 They were among five finalist teams who were invited to present their proposals before a prestigious panel of scientists, educators, and technologists at the conference. The distinguished panel of judges included: Dr. Philip Schein, member of the board of CASIS; Michelle Daly, MƒA Master Teacher; Ezequiel Alvarez Saavedra, Ph.D., co-founder of miniPCR; Nicole Nichols, Ph.D, Group Leader at New England Biolabs; Brice Gaudilliere, M.D., Ph.D., Assistant Professor at Stanford University; and Sarah Wallace, Ph.D. microbiologist at NASA. Genes in SpaceTM promotes youth scientific engagement and DNA research in space. 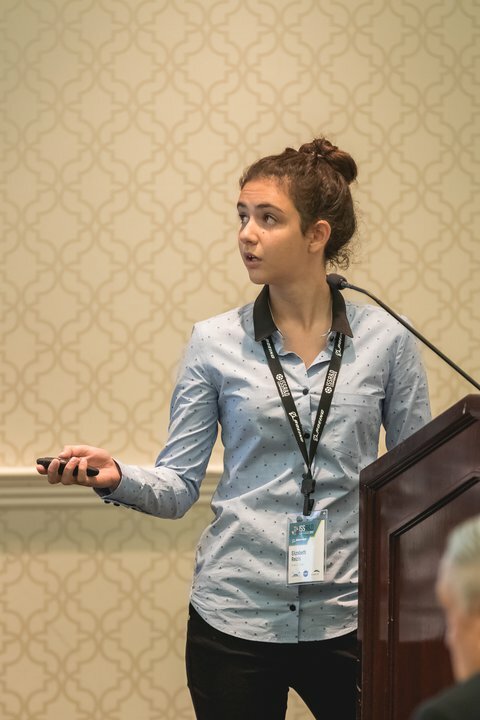 The first Genes in SpaceTM experiment by 17-year-old high-school student Anna-Sophia Boguraev of Bedford, N.Y., was the first DNA amplification experiment ever conducted in space. Chen and Reizis will both have their experiments performed in low Earth orbit aboard the ISS and will be invited to watch the launch of their experiments into space. Their winning experiments will continue to build genetic analysis capabilities aboard ISS and inspire the next generation of space biologists. For more information about the Genes in SpaceTM and all other awardees, visit:www.genesinspace.org.